Yesterday's roster confusion has become a little bit clearer today, but as usual with the Red Sox, a new issue may have cropped up. 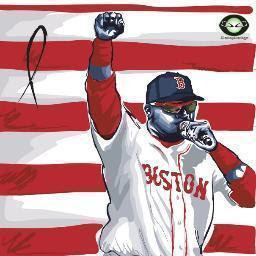 Will Middlebrooks has been called up today and according to some reports he will be in the lineup as long as he gets to Fenway in time for the start of the game. Middlebrooks has been tearing the cover off the ball in AAA. Hopefully he saved some hits for the big league team! I'm excited to watch him play. With Youk being on the DL look for Will to get an extended shot to show what he can do. Let's hope that Bobby V doesn't screw that up. Aaron Cook has also been added to the roster according to CSNNE and he will be starting in the place of Josh Beckett on Saturday. Beckett is supposedly still sore from his last start. I'm assuming this is the teams way of protecting it's starting pitchers early in the year. Beckett threw 126 pitches in his last outing so he may need the extra rest. Now the speculation will begin about whether or not Beckett will go on the DL. I doubt that he will. The next roster move will probably have Iglesias going back to Pawtucket with another pitcher being called up for the bullpen. I have a feeling that young Jose may get one start before he gets sent down. It could come tonight, and Mike Aviles could use a day off so why not give him one while you have a legit back up SS on the roster. The lineup is TBA because of the Middlebrooks situation. Tonight's pitching matchup is Bard vs Brandon McCarthy. 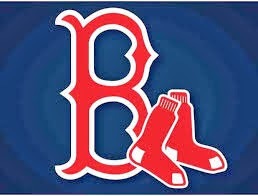 The Sox offense needs to get back on track and hopefully get an early lead. This seems to be a better team when they get out to a lead (with a couple of exceptions obviously). Wouldn't it be exciting to get a glimpse of the future of the left side of the infield tonight with Iglesias and Middlebrooks even if it is just for one night. Join us for our special edition, 3rd chat of the week, tonight at 7 o'clock!! The line up is out and Middlebrooks is playing 3B and hitting 8th, but Iglesias is not in the lineup. According to Brandon there are twitter reports that Clayton Mortensen has been called up for tonight's game and Cook won't be added until he makes his start on Saturday.